Flu season is right around the corner. It’s estimated to begin in October and can last through May. 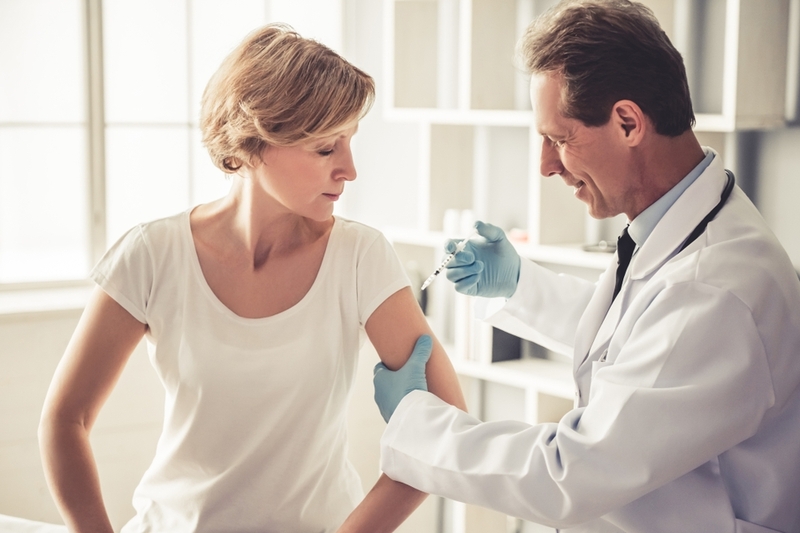 The Centers for Disease Prevention and Control (CDC) recommends a yearly vaccine to protect yourself, as well as prevent the spread of flu to family members, friends and coworkers. Last year, the CDC reported 178 flu-related deaths in children alone during the 2017-2018 flu season. Getting a flu shot can also reduce the risk of flu-related doctor visits by 40-60 percent, according to the CDC. The following information may help you decide when and where to get your flu shot this year. The CDC recommends everyone over the age of six months get a flu shot during flu season. Roughly 200,000 people are hospitalized each year because of the flu virus. And each year, the flu results in an estimated $10 billion in lost productivity and medical expenses. Getting a flu shot is a quick, easy and affordable way to protect yourself, your loved ones, and your communities. It takes about two weeks after a person is vaccinated for antibodies to develop in the body to protect against the flu. Earlier in the season is better; however, it's never too late to protect yourself from the flu virus, so you can get a flu shot at any time during the season. Are flu shots covered by my insurance? Flu shots are covered for almost all Regence members. This means members have no out-of-pocket cost when they get a shot at an in-network pharmacy or provider. To confirm your coverage, visit your Member Dashboard on regence.com, or contact us and we can help with details. If you have a Regence plan through work, your employer may have already scheduled an on-site flu shot clinic. Be sure to see if one is scheduled for your worksite. Who is the most at risk of getting the flu? People with certain medical conditions, including, but not limited to: asthma, COPD and liver disorders. Who should avoid getting a flu shot? Note: There are certain flu shots that have different age indications. For example, people younger than 65 years old should not get the high-dose flu shot and people who are younger than 18 years old or older than 64 years old should not get the intradermal flu shot. People with egg allergies can receive any licensed, recommended age-appropriate influenza vaccine. The CDC reports people with egg allergies no longer have to be monitored for 30 minutes after receiving the vaccine. This post was originally published on October 13, 2017 and was updated with additional information on August 22, 2018.